Autumn Leaves | emma etc. 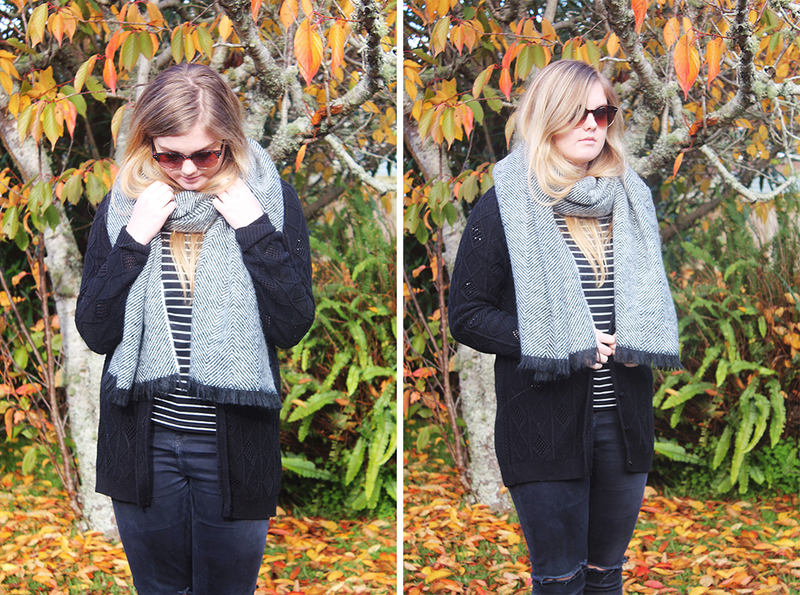 I have a quick little outfit post for you today - something I wore to work in the weekend. The outfit consists of something very causal, monochrome and comfy - exactly what my 'style' is, really. 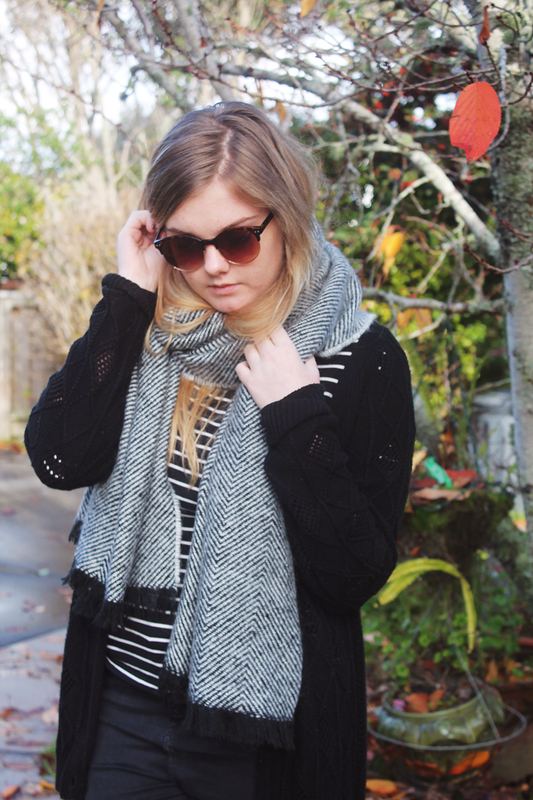 The main purpose of shooting this outfit was the scarf as it's new from ASOS and I'm in love! 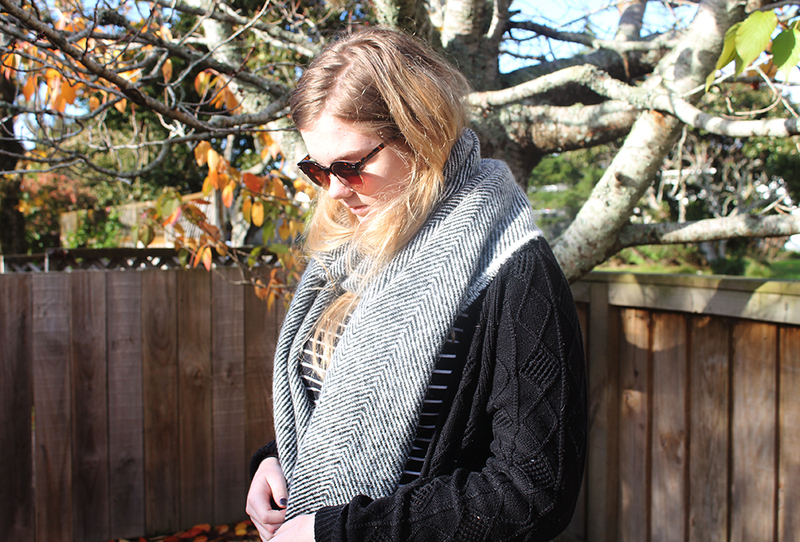 It possibly looks better in real life, it's super oversized and snuggly! It could literally be a blanket when you unwrap it, I've found myself snuggling with it when reading a book, on my laptop, etc! I can just tell I will be wearing it with literally everything over the next couple of months. As for the rest of the outfit, I'm wearing my favourite comfy jeans, a striped top and a black cardi. I also wore these boots that I thrifted a while ago but don't wear often as you can't really get them wet as they're real leather. I couldn't not wear sunglasses as well as I think it works well with the scarf, and it was actually sunny this day (on and off though, that darn sunlight comes out intensely when I need decent photos). As you can see from the photos, Autumn looks like it exploded in my garden. I think generally we've had a late Autumn as it was still really hot in March. Right now is the time where the leaves are so orange and they're beginning to fall to the ground. I think it makes these photos look extra pretty. 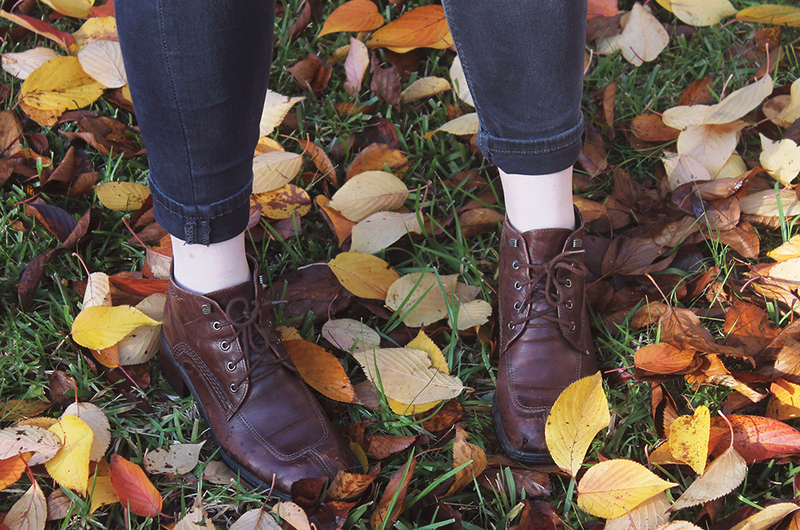 I love autumn and I'll probably be sad to see it go, so think of these photos as the last memoir of the season.